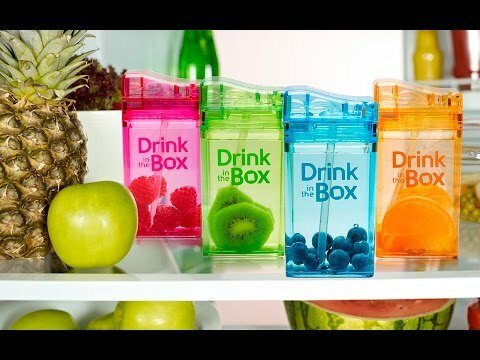 A reusable juice and drink box made from Tritan plastic; BPA- and phthalate-free. 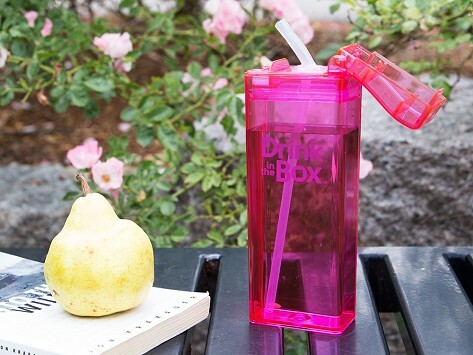 Its no-leak container can be filled with your own beverages. Dimensions: 8 oz. : 3.25" x 1.75" x 5.25"; 12 oz. : 2.8" x 1.8" x 7.5"
Weight: 8 oz. : 0.25 lb. ; 12 oz. : 0.3 lb. Great size for lunch boxes and really doesn’t leak! I got this as a gift from my niece and my sister-in-law said she absolutely loves it! I will be one for my son as well.